The Panama City ARC operated 2F at the Bay County EOC using callsign W4B. We have been doing Field Day there for a number of years. I setup an outside station. The other station was in an air conditioned classroom. I always operate battery even though it does not help under the F category. So here are some comments on this year. 1. There was no rain or threat of rain. I thought it always rains on Field Day! Of course it was hot. It did not bother me much except for setup and teardown. I was glad to have Phil and Steve helping me with the gear. 2. The 40 amp hour LiFePO4 battery charged with a 100 watt solar panel did a great job. There was plenty of sunshine. I ran up to 100 watts with no problem. 3. The 130 foot doublet antenna performed well. I started with the SGC 237 tuner. It seemed to work at first, but later it would not finish tuning. 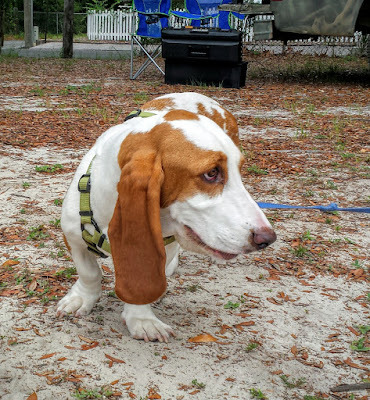 So I am unsure of what is up there. I changed the Icom AH-4 tuner and it worked perfectly. 4. The Icom 7100 was doing great. However, the power dropped to a few watts. The base part happened to be in the direct sun. I hope it returns to normal. I switched to The Icom 7300. It worked awesome. I enjoyed the spectrum display even on the crowded bands. 5. I helped get two granddaughters of Don KK4DWC get on the air, That was a joy! 6. 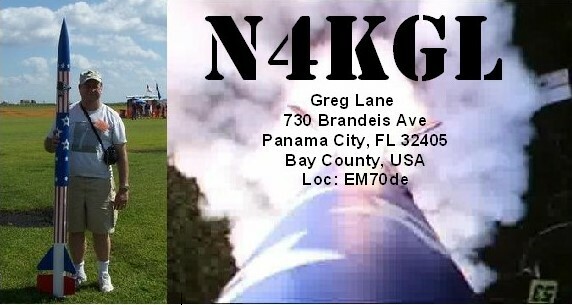 Doug Helms KM4TOF is a new ham and he got his first QSOs on our Field Day station. He was doing a good job and said operating was addictive. 7. 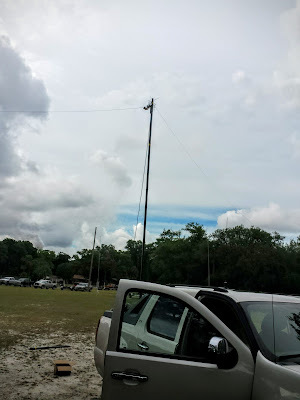 The 500 foot Skyloop was setup in the front parking lot and required 150 foot of coax. However it was "SuperFlex" a very low loss type that Phil N4STC provided. The loop did well on 40 meters. 80 meters only had a few stations and I heard nil on 160 meters. The alternative energy setup with solar panels, supercapacitor and the KX3. 8. I did an educational activity on the supercapacitor bank. I also used the supercapacitor for the alternative energy bonus. I got five contacts with the KX3 for the bonus. The supercapacitor was being charged by solar panels. There has been lots of interest in the solar/supercapacitor setup. 9. The inside folks had fun too. Bob Leasko WB8PAF operated at least 23 of 24 hours steady on CW. That will help our score. 10. OK time to start planing for next year! There will be more about the Panama City ARC Field day on the w4ryz.org site after the logs are reviewed and the pictures are gathered. Jim K0RGI has come up with a new sprint concept for field ops and their chasers. It is the Second Saturday Sprint (SSS). Visit the QRP Field Ops Community on Google+. The Sprints are May through October. So get your member number and join us. Mine is 103. 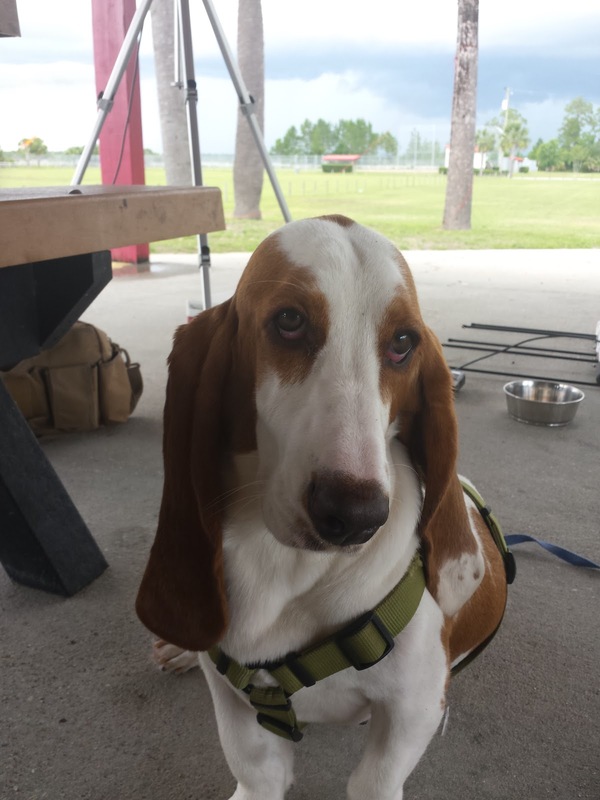 For the June 11th SSS Suzy and I returned to Kinsaul Park in Lynn Haven Florida. 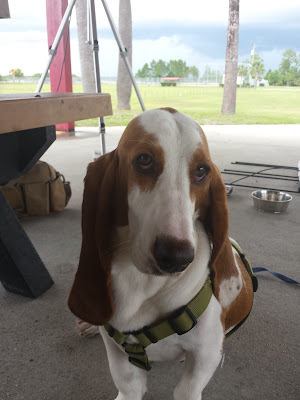 There were some thunderstorms passing through. Fortunately, I was in a pavilion and could keep the gear dry. My rig was the Elecraft KX3. The antenna was the N6BT Bravo 7K. I also used the Alexloop. 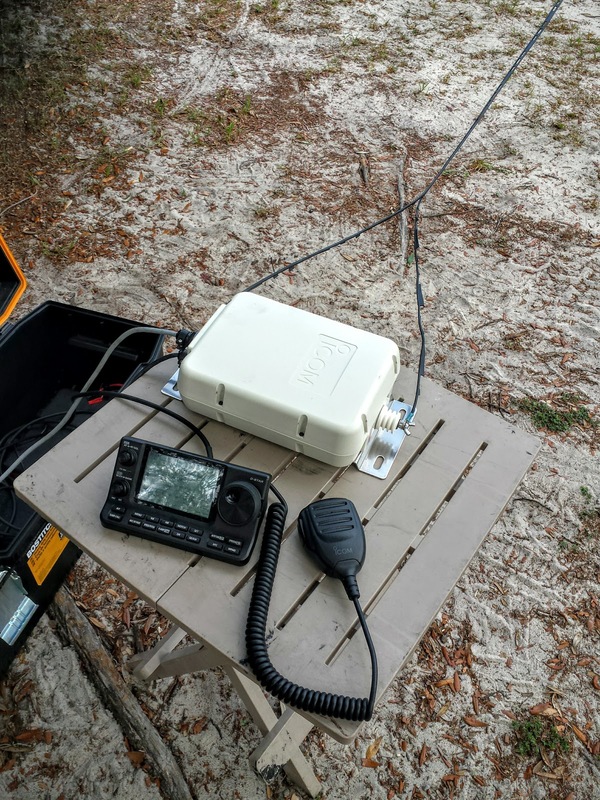 In the SSS you can contact other QRP Field Ops members but you also get credit for other events and casual QSOs. I scored a contact with Pat N0SHU #102 in Missouri at the start on 20 CW. I had five contacts with locals via 2 meters simplex. I used a HT with an Elk Log Periodic for those. I had five SKCC contacts. One on 40 meters and the rest on 20 CW. A couple more local HF contacts including N1HQ #104 gave me 13 QSOs total. We will see how I do on a score. I did run 10 watts so that is a 1.5 multiplier verses the 7 multiplier for 5 watts. 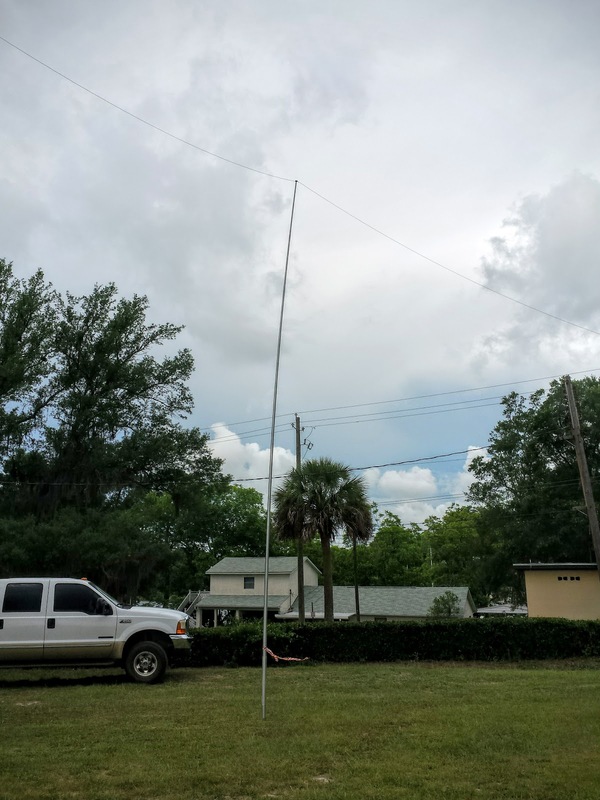 Elk antenna and HT used for 2 meter simplex. These SSS sprints are a lot of fun.Thanks for all the locals who helped out. I also enjoyed seeing Jason N4JTC who stopped by. 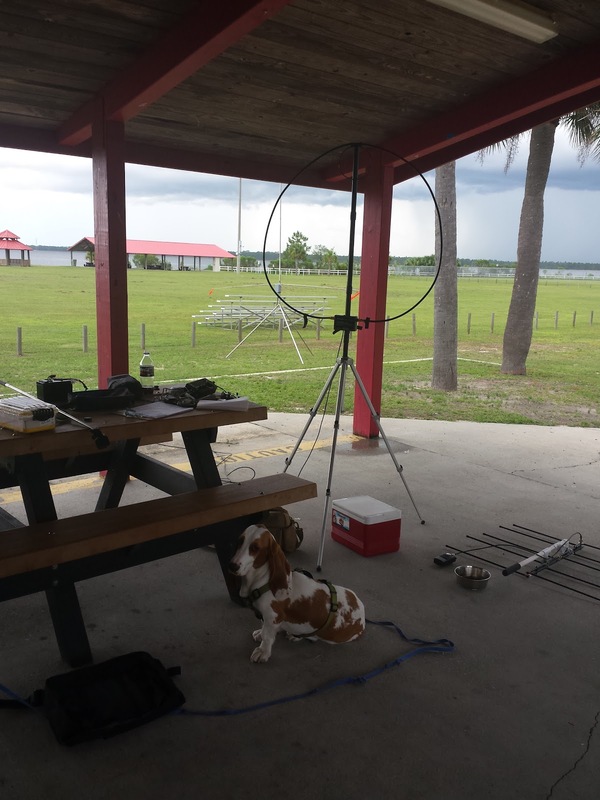 I am offering a couple of new antennas for our club field day. Of course, it is best to test them before the event to know at least that they tune up. I was able to do that on Saturday. The first is a dream antenna. That would be a 160 meter full wave loop. 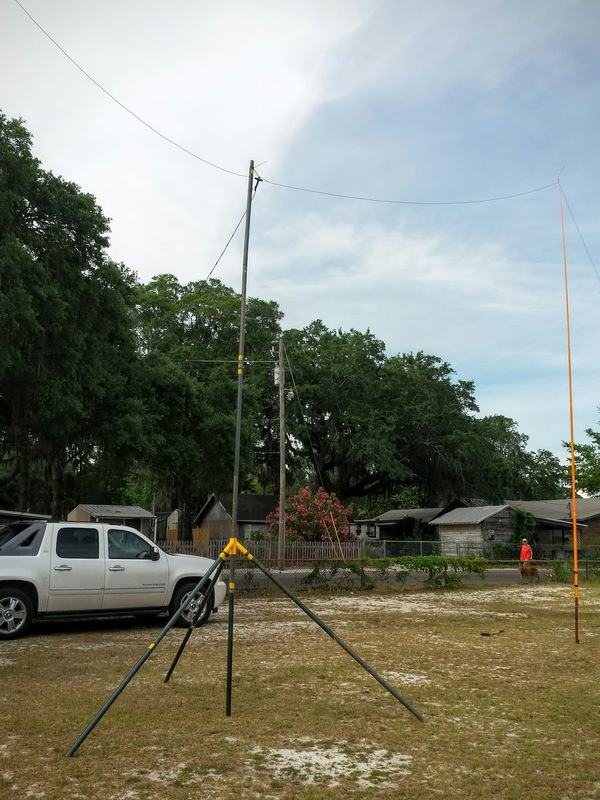 Chameleon Antennas has an 80 meter Skyloop and Carl will fix you up with a 160 meter version. It is 500 feet long and it has a 4 to 1 balun. We deployed it on an open field. It would not have been possible with out the fiberglass poles Mike KM4ELJ provided. They are 28 feet tall and are fairly rigid at the top. They are designed for flags. Mike has ten of them and we used seven. We setup the supports 80 feet from a central point. This approximates a circle. It did not take long to deploy. But one hitch was that a boater had parked a truck on our wire when we were not looking. We are near a boat ramp. The boater had left. Fortunately Mike had a floor jack in his truck and jacked up the truck and freed our wire. The antenna SWR was about 3 to 1 on 160, less that 2 to1 on 80. A bit high on 40 and less that 1.5 to 1 on 20. We will be using a short coax run and a tuner. We made some 80 meter contacts with good reports. The layout won't be as easy at our Field Day location. We will be working around parking lots and ponds on the property. Thanks to Mike KM4ELJ and Jim K4LIX for help with the setup. The second antenna was a 130 foot doublet I got from DX Engineering. I followed their instructions and cut a 1/8 wave section of 300 ohm feedline adjusted for velocity factor, That was about 31 feet. I have an Icom AH-4 tuner which I like as it integrates well with my Icom 7100. 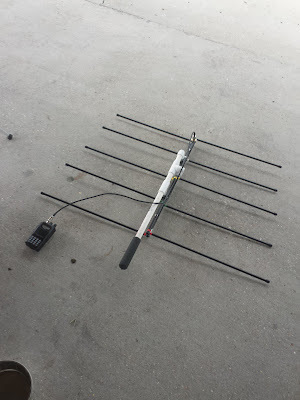 It can feed balanced line antenna like the doublet. Deploying this antenna is fairly easy. I use a mast made of camo poles with a tripod at the center and four Jackite fiberglass poles to support the legs. It tuned on 80 through 10. I skipped around and made contacts on 80, 40 and 20. I think we are good. Our club also has a NA4RR Hex Beam also for field day. It will be on a portable tower. Of course we may have even more antennas but the loop, doublet and hexbeam are a good combo for three transmitters. 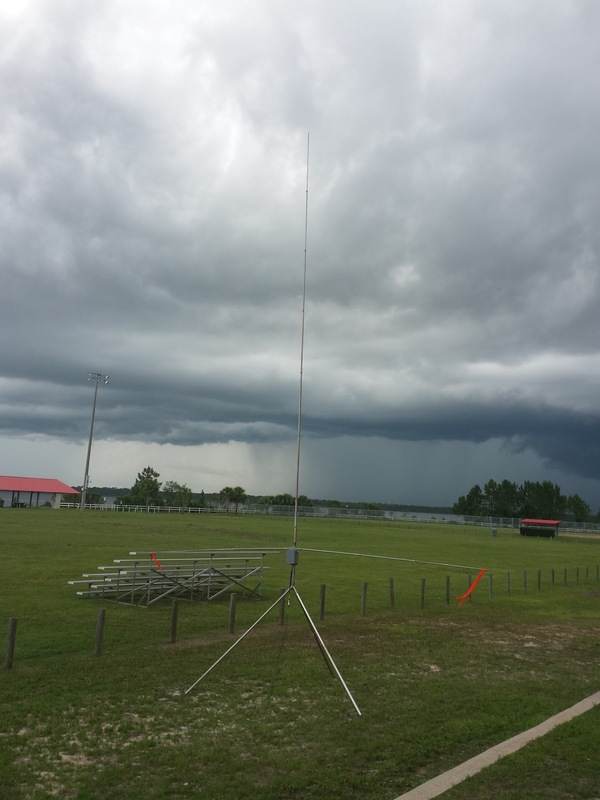 The Panama City ARC plans to be 3F from the Bay County EOC Our callsign will be W4B. The EOC has indoor air conditioned space but we will also have a battery powered outdoor rig as well. If you like antennas Field Day is a good time to try them out.